Grant Shapps, the Housing Minister is introducing a new Bill to stamp down on anti-social tenants within Social Housing. If the council evict them or refuse to house them then the only place where they can be re-housed, unless serving a custodial sentence, has to be into the private rented sector. 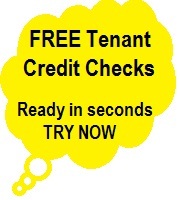 Obviously everybody checks references of new Tenants however it will pay to be extra vigilant if a new tenant will be having their rent paid directly to you by the council. Contact the Housing Authority to find out if the person(s) has any previous anti-social orders against them and if they have been evicted because of these. See Section Vetting LHA Benefits Tenants. Social housing lets account for 13 per cent of all new contracts – up more than 50 per cent from eight per cent in the previous quarter – which is the highest level reported since records began in 1999. Shapps says that he is introducing a series of “trigger offences” that can be taken into account to speed up the eviction process, as it can take social-housing landlords an average of seven months to get a re- possession order. If the defendant does not bother to attend then further delays will occur and some landlords have been known to incur costs of up to £20,000. A conviction for a serious offence related to housing, including violence against neighbours, drug dealing and criminal damage. Breach of an injunction for anti-social behaviour obtained by a landlord. Closing of a premises under a closure order. This could be where a property has been used for drug dealing. Government figures suggest that throughout the UK that there have been only 3,000 evictions of Social Housing tenants and is only a small percentage as three quarters of cases involving anti-social behaviour are usually brought to a satisfactory conclusion through early intervention. Baroness Newlove, the Government's 'Champion for Active Safer Communities' says. "We must empower social landlords to back the quiet suffering majority and deal swiftly with the criminal minority. I shall ensure my work gives maximum exposure so any citizen finding themselves in the same situation living next door to the neighbour from hell will have the knowledge and tools to finally see swift redress, and perhaps the very real threat of losing their home may bring to heel those who deny the right of a peaceful life to others." Since the riots councils are looking at zero tolerance towards anti-social behaviour from social housing tenants threatening them with eviction. There will be 'showboating' cases which may cause a butterfly effect. The Human Rights Act will ensure that those causing anti-social acts will have to be re-housed and it is more than likely the only option left, beside prison, will be in the private rented sector.